Do You Know What Is Living in Your Carpeting? Carpets can be homes to a variety of different things, which you may not even realize are living in your carpet. Depending upon the type of carpeting you have in your home, some of these things remain imbedded deep within the carpets pile even with regular vacuuming. Oftentimes it is difficult to remove these things without professional carpet cleaning in Toronto. If you have pets in the home, pet dander can flake off and get into your carpeting. Pet dander is essentially dead skin cells. The dead skin cells are the primary source of dust mites. Dust mites look like little specs of dust that are noticeable on bright sunny days as they float through the air. Dust mites eat dead skins found in carpeting and furniture shed by people and pets. In addition, dust mites feces is a known allergen which causes cold-like symptoms, like stuffy and runny noses, sneezing and coughing. Asthma suffers are also prone to dust mite allergies and could have problems breathing or even an asthmatic attack. Fleas can quickly become a major headache in your home if they are left untreated. Fleas bite humans and pets because they need blood to survive. Female fleas can lay up to 5,000 eggs over the course of three months. Fleas are difficult to kill because not only do you have to destroy the adults, but also get rid of the eggs to break the reproduction cycle completely. While bed bugs are most commonly found in mattresses, they do migrate to other areas of the home and even live in carpeting. Adult bed bugs can survive for up the three months without a meal. Just like fleas, they consume blood from pets and humans. Spores and mold favor warm, humid environments, especially in carpeting. Many people are allergic to spores and mold. Spores are tracked into the home during the spring as plants reproduce and flower. Mold can develop at any time throughout the year and can make people sick. Many types of viruses and bacteria can survive in carpeting for a month or longer, like the Norovirus, which is the cause for the stomach flu. Using a professional Toronto carpet cleaning service can help remove these undesirable things from your carpeting. In addition, carpet cleaning removes stains, odours, and dirt and revitalizes your carpets and makes them fluffier and brighter. Even the dirtiest of carpets with high traffic areas could be saved using the right professional cleaning and restoration methods. If it has been quite some time since you last had your carpets professionally cleaned, you are well overdue for a deep cleaning. 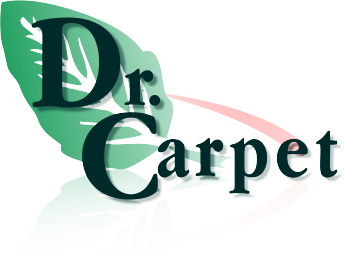 Most carpet manufacturers recommend having your carpeting cleaned every year to maintain its appearance and quality. For more information about professional carpet cleaning services or to obtain a free quote, please contact Dr. Carpet at 647-800-5199 today. Dr. Carpet is a full service company and offers professional carpet repair, installation, and cleaning in the Greater Toronto Area.